Tópico em 'Astronomia' iniciado por J.S. 27 Set 2011 às 01:26. Apparantly I missed out on a nice show. Nothing spectacular, but I was half an hour too late. 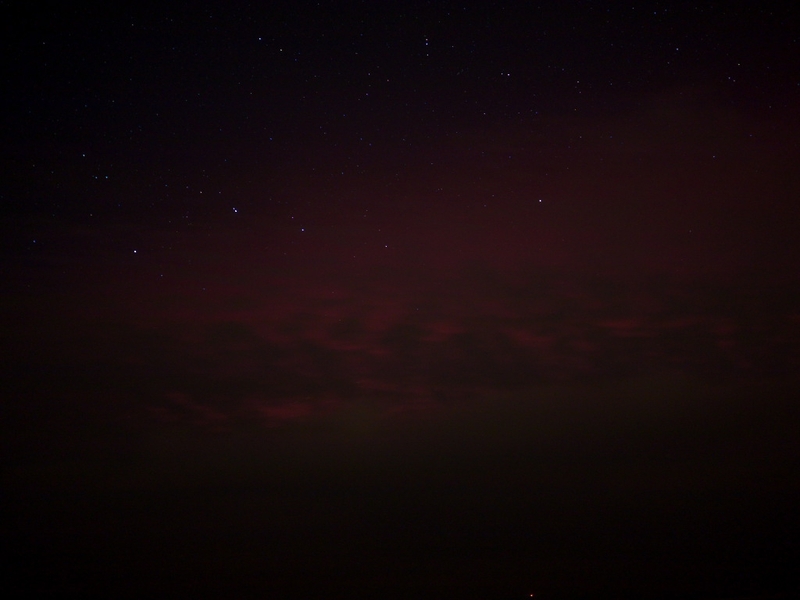 Anyways: I was one of the very few in NL who saw them because clouds were in the way. That is why I wasn't too late after all. 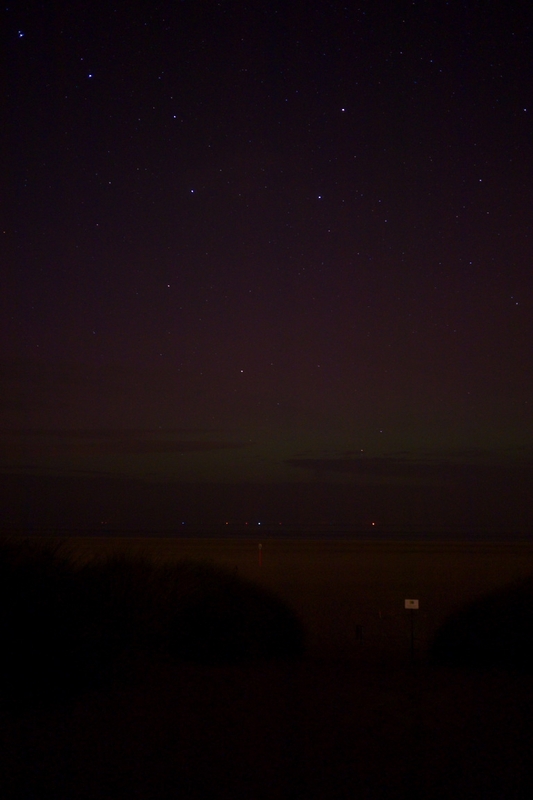 At 21.15 there were clouds over here aswell. Aurora on the Faroe Islands. Just before 12:00 UTC Monday, the ACE Spacecraft detected a solar wind increase to over 700 km/s at its peak. 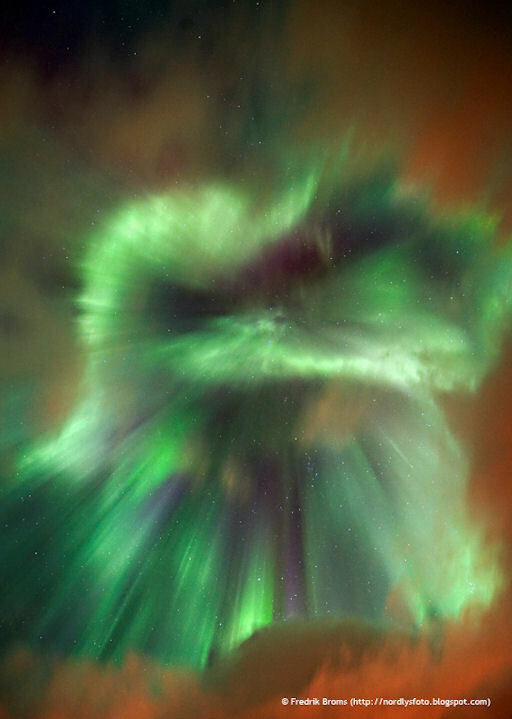 This indicated the arrival of a the Coronal Mass Ejection (CME) sweeping past the spacecraft which was the result of a long duration M7.1 Solar Flare on Sept. 24. The Bz had titled sharply south at times (-30nT) and a Strong G3 to G4 Level Geomagnetic Storm occurred at high latitudes. Less severe Geomagnetic Storming took place at middle latitudes. Because the timing of the CME shock was early in the day, visible Aurora would have favored Europe and not here in North America. There have since been periods of sporadic storming at high latitudes, but is expected to become quieter during the day on Tuesday. Well..I was too late. Apparantly about an hour before we had a real nice display. |Corona's like on the fantastic pics over here are rare in NL. I saw them in 200 and 2003. 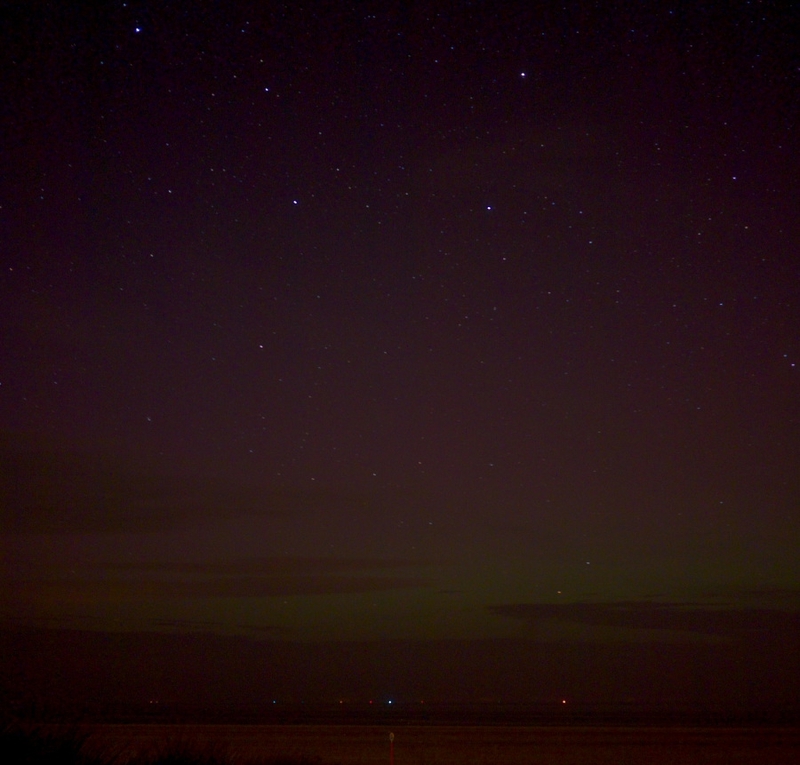 In 2003, I eventually had to look to the south to see the aurora. It was somewhere above France I guess. Well, this one was on Dutch National Televison, also shot by me. A bit better but it pales to the what we saw in 2000-2005 period. 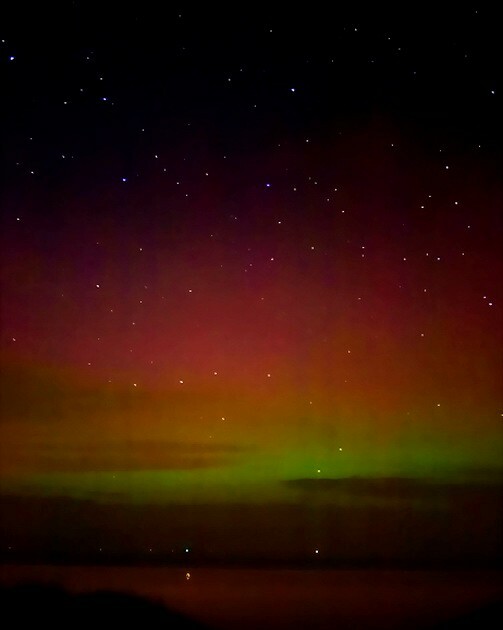 But the next few years will bring the aurora's back. Other displays this year were augustus and may. In august, it was just the green band higher up in the sky. I like the greenband with read/purple above it much more.